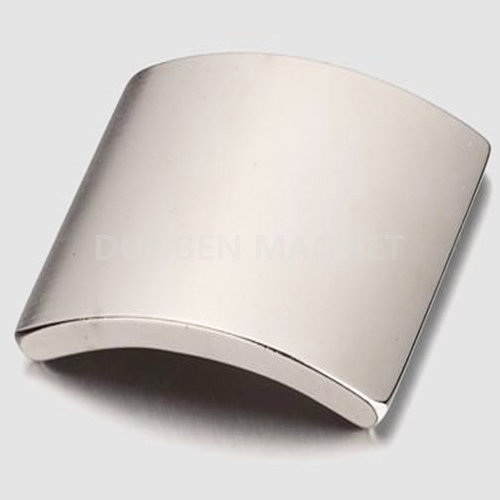 Sintered Arc Rare Earth Neodymium NdFeB Magnet- Buy , , Product on Hang Zhou Xiaoshan Dunben Magnet Co., Ltd.
Dunben Magnet Co.,Ltd is specialized in manufacturing a variety of arc magnets applied in different applications. We have advanced production technology, rich production experience and professional engineering technicians in this field. 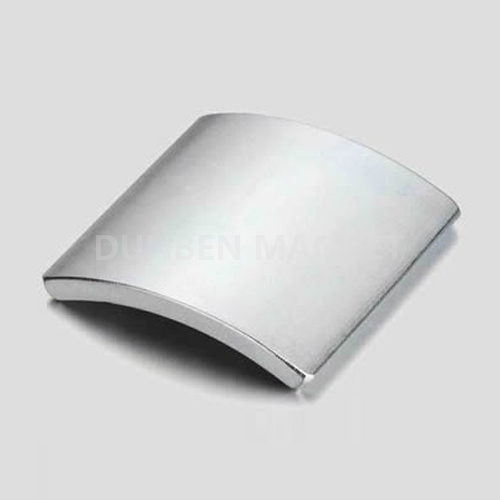 Dunben Magnet Co.,Ltd can design, produce and supply Magnetic Rotor Assemblies to customer requirements.If you would like us to assemble your neodymium arc magnets onto your rotor (or any other assembly),Please contact us! We can supply magnetic assemblies as well as the magnets. Whether it is a simple rotor asssembly for low cost low speed use or a high specification magnetically balanced rotor with mechanical balancing, we can produce and supply high quality magnetic assemblies for your application. Magnetic Balancing - some applications require the back-emf (generated voltage) in each phase to be of equal magnitude (to keep the power electronics simpler and lower cost). To allow this, it is possible for the magnetic output of each magnet to be measured and then the magnets can be assembled onto the rotor so that the total magnetic field each phase will see is as equal as possible. This is called magnetic balancing (or magnetic tuning). High Speed Rotors - in some applications the magnets need additional sleeving to assist in holding the magnets in place. We work with customers, often using their designs, to ensure the magnets stay on the rotor at all times. Mechanical Balancing - high speed rotors often require mechanical balancing to limit bearing damage, internal stresses and strains, noise, etc. We can balance the rotors to meet customer requirements. Assembling - we can either assemble fully magnetised magnets onto the rotor. Or we can look to assembly unmagnetised magnets onto the rotor and magnetise afterwards in situ (if the design allows post-assembly magnetising to be feasible). Machining - sometimes, especially for adding sleeves to rotors or when the air gap from rotor to stator is very small, the assembly outer radius needs to be precision ground. We can do this (but be aware that this may possibly affect the magnetic balancing - if you require more information on this effect please contact us). Magnetic rotor assemblies include:- motors, generators, high speed actuators, wind turbines, magnetic pump couplings, printer rotors, direct drives, etc. 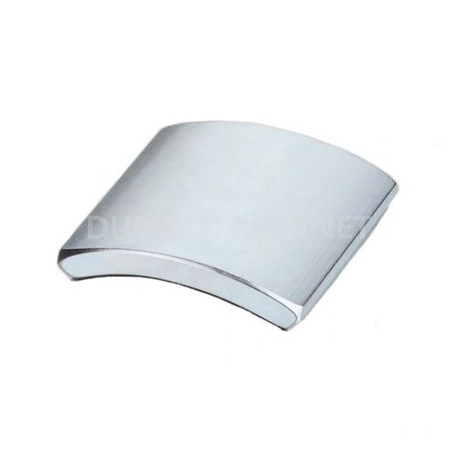 Arc super magnet strength magnets can be seen as a part of ring magnets or disc magnets. Arc super magnet strength magnets are also called Neodymium Segment magnets that are made by wire cutting and grinding from block magnets. Super magnet strength arc segment or super magnet strength tile magnets are commonly used in electric machines, equipment, motors and generator magnet application, rotors, stators, couplings, wind turbine and other super magnet strength NdFeB magnet applications. These products will generate a lot of heat and energy in high speed running. So the built-in arc generator magnet have to withstand high temperature in operating. Arc magnets usually make with high energy material , like H, SH grade. These magnets can be assemblied together to a ring and sticked to iron housing. The meterial can work at high temperature and have low weight lost in high speed rotating. The material also have strong torque force. They also have uses where a magnet needs to be formed around a cylinder. We carry a limited selection of arc segment magnets but can manufacture custom sized . By Air: If the goods will be shipped by air, all the magnetic should be degaussed and we will use Iron sheet to shield. By Sea: If the goods are will be shipped by sea, we will place a pallet on the bottom of cartons. 9.Payment methord: T/T, Western Union, Paypal. Raw Materials-->Mixture--->Vacuum Melting--- > Powder Production--- >Molding ---> Vacuum Sintering--- > Testing--- >Mechanical Processing--- > Surface Coating--- >Magnetized--- > Inspecting--- > Packing and Shipping.